A perfect cheesy bite for mornings on the go. 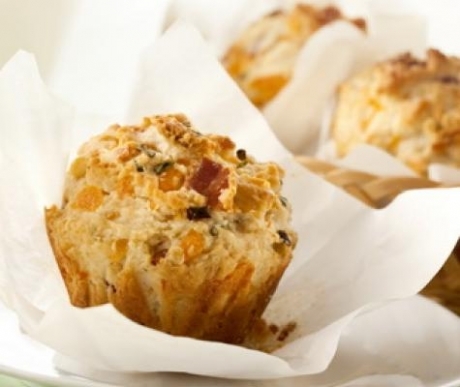 Place muffin liners in each muffin cup. To make your own, cut 6×6 squares of parchment paper. Mix all ingredients gently in a large bowl until just blended together, be careful to not over mix the muffins or they will become chewy. Bake for about 15 mins or golden brown.